Pacific Nurseries Serving Landscape Professionals Since 1869. 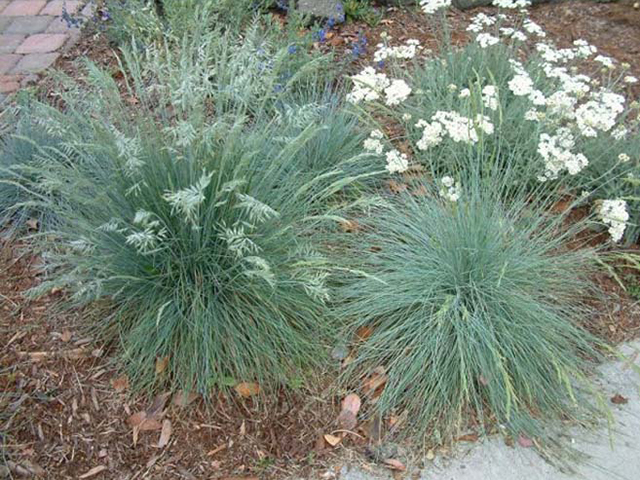 7 native grasses to consider for your landscape project. 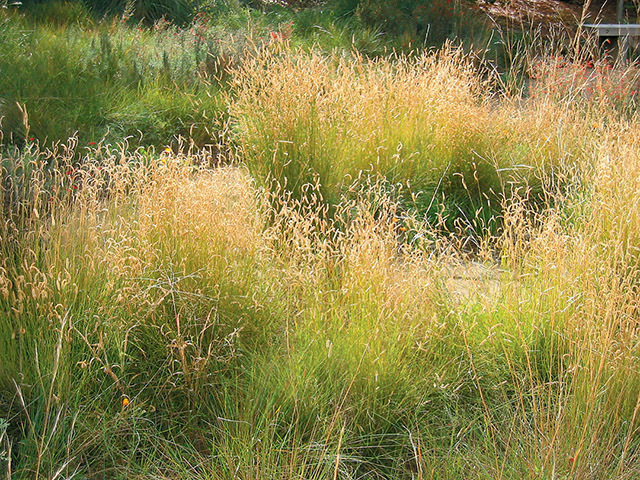 California native grasses can be a thoughtful and attractive addition to just about any Bay Area landscape. According to the California Native Plant Society | CNPS, native California plants provide several attractive benefits for both landscape professionals and their clients when creating and maintaining a thoughtful, attractive and efficient garden. A unique and important role for grasses. California native grasses play a unique and important role in providing cover, nesting materials, and additional food sources for beneficial, garden-friendly wildlife. They also provide the aesthetic design benefits of contrast, loose structural form and interesting leaf variety. Best of all, they’re unmatched for their graceful, flowing movement throughout the seasons. Over 300 species of native grasses are found in California and they are an integral part of diverse habitats including: cool, wet forests to hot, dry deserts. In their natural environment, native grasses typically occur in groups with bare ground between them and where wildflowers grow. And when grasses get a bit messy while going to seed, this is exactly what seed-eaters and butterflies hope for as the seeds provide food for nourishment and survival. 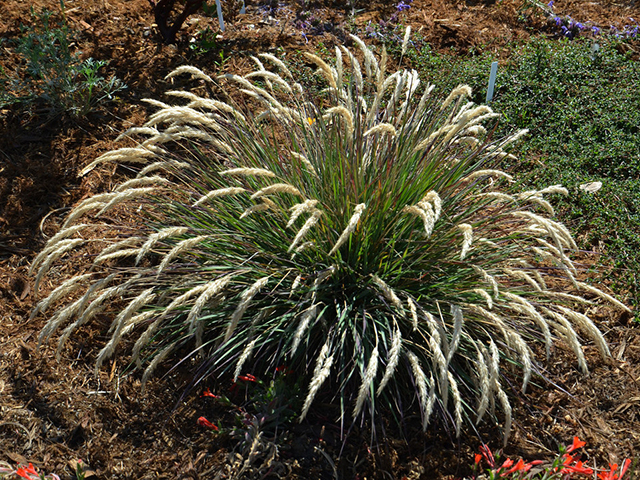 Most native ornamental grasses prefer lots of sun and will be tolerant of drought once they’re established. However, many species improve their appearance with occasional water during dry periods. The deep roots of native grasses stabilize soil, increase water infiltration, and recycle nutrients. When native grasses are planted in urban environments, their unique qualities can even help to filter polluted runoff. Native rangeland grasses also excel in sequestering carbon to help reduce air pollutants and mitigate the effects of climate change. A wide selection of specimens, forms, colors and sizes. With so many aesthetic and ecological benefits, it makes sense to consider California native grasses for your next installation. At Pacific Nurseries, we have a wide selection of native grasses in many container sizes in our over 36 acres of inventory. This low growing species is native to a vast majority of the US and it grows well in hot, dry regions of California. It’s semi-evergreen and it shuts off growth as weather cools in our Bay Area Fall and Winter seasons. It’s also a great candidate for replacing a water-wasting lawn. This native grass is a robust medium bunchgrass with glaucus evergreen foliage associated with brush lands and deciduous oak forests. It’s an excellent option for shady or filtered light settings. It features airy flowers and provides great contrast and leaf texture in an installation. A compact and blue-leaved form of Leymus condensatus, this beauty tolerates both sun and shade. It also does well when irrigated and when water is restricted in drought conditions. Its foliage makes this a brilliant accent and over time, it becomes a resilient, hearty and handsome addition to just about any garden. 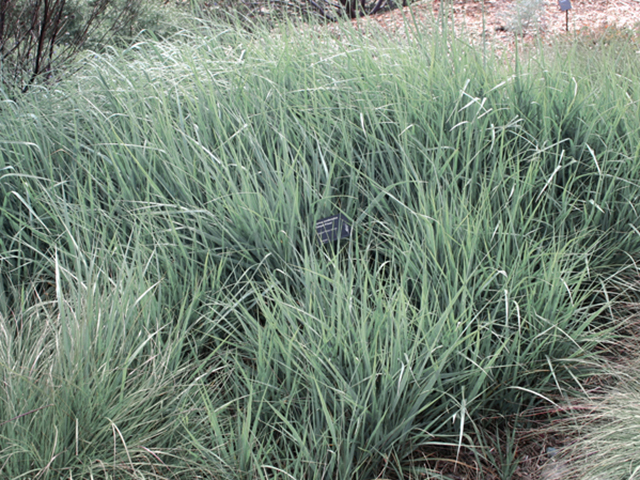 This is a perennial bunchgrass that is native to California and endemic to the state. It produces a tuft of stems about 1 to 2 feet tall with the leaves mostly located about the base of the stems. This wispy and free form grass is found in western North America, from British Columbia to California. It has a height and width of approximately 2 feet and is slowly spreading. It’s a great native grass solution for use in meadows and open woodlands. This beauty is not a California native. But it’s one of the hardiest of the New Zealand Hair Sedges and one of our favorites. It forms striking mounds of narrow, bronzy-orange leaves and when exposed to sunlight, the foliage seems to shimmer with movement. It’s a striking solution in rock gardens as well as containers. And it prefers exposure to partial sun with regular watering. This handsome species is a monocot and perennial grass like herb that is native to California. It produces sharply triangular stems up to 2-3 feet tall from a network of thin, coarse rhizomes. The inflorescence is a dense, somewhat cylindrical array of flower spikes up about 1-1-1/2” long. It’s a great lawn substitute and ideal for meadow settings. Low maintenance with beauty all year long. 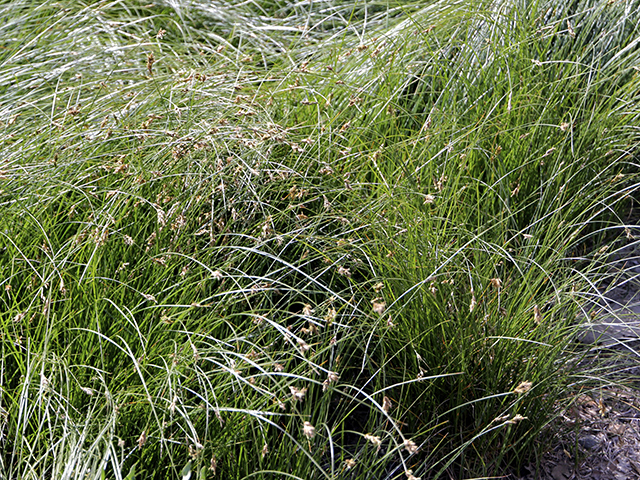 Native grasses can be a thoughtful and attractive addition to just about any Bay Area landscape. And by following some of the low care tips below, you’ll ensure that your clients will thank you for your guidance in helping them save water and reduce maintenance work in their garden. Although most California natives can be planted at any time of year, it is best to put them in the ground during the Fall and early Winter. This gives them time to establish a healthy root system and build the energy for new growth and stunning floral displays in Spring and Summer. Many native plants can survive with minimal supplemental water once they have become established (after 2-5 years). Some native species can maintain a healthy appearance for much of the year while being watered occasionally each month. Most native plants perform better without any fertilizer. Extra nutrients push plants to grow quickly, sometimes beyond naturally supportable levels, and can shorten their life span. Adding a layer of mulch helps to slow water evaporation, discourage weed germination, and create a favorable environment for creating beneficial biological bacteria. 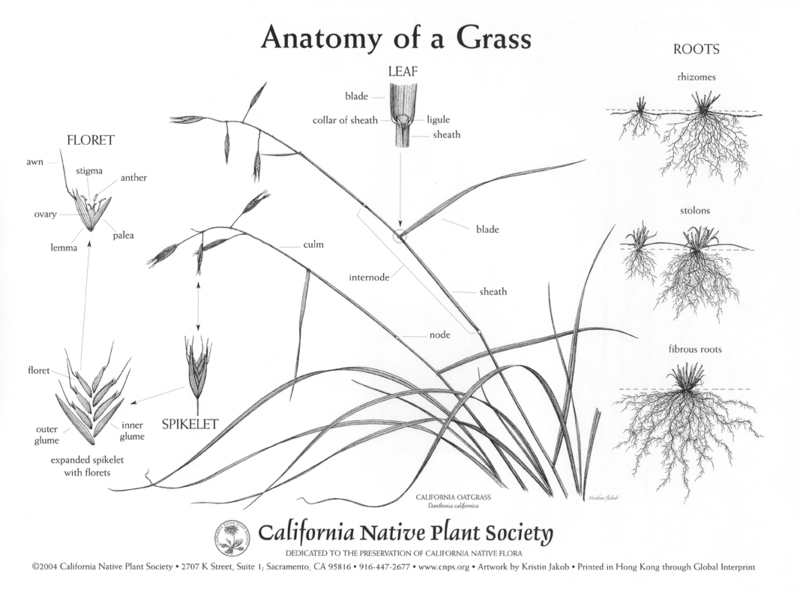 Want to know more about CA native grasses? If you want to discuss or learn more about California native grasses, feel free to contact any of our experts at Pacific Nurseries. As both a grower and a plant broker, we’re ready to work with you to provide just the right plants that will make your project a water-wise success. It’s one of the many qualities that makes us different from just an ordinary nursery. Contact us online or just give us a call at 650.755.2330. We can also provide an Estimate for one item or for an entire installation. Just attach your Microsoft Excel .xlsx plant list to our convenient online estimate form. Have you recently installed a great grass solution for your project? Share your success with our community! We look forward to hearing from you. As President of Pacific Nurseries, Don Baldocchi gets satisfaction knowing the Bay Area is greener and more beautiful by helping landscape professionals succeed. Email Don or give him a call at 650.755.2330. SAVE 10% on your next online plant order. Attach a .xlsx plant list for a fast, accurate estimate. Go to our online estimate/order form, enter or upload your plant list, and submit. It's easy! We deliver plants right to your job site with our scheduled deliveries throughout the Bay Area. Our seasonal list of plants currently available in limited supply and in prime condition. 12 trees for the Bay Area that your clients will love. Landscape Pro tips for staking a tree. Landscape Pro insights and three Bay Area winners.